Dr. Tom Hall, a native Houstonian, has enjoyed improving the function and appearance of smiles for over 25 years in Houston. Dr. Hall is an extremely passionate orthodontist who thrives on creating beautiful and functional smiles. He is a true professional that is a nationally recognized Center of Excellence Incognito orthodontist. Thank you for considering Dr. Tom F. Hall as your Houston orthodontist. 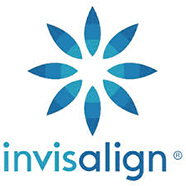 Hall Orthodontics provides Invisalign, Lingual braces, and traditional braces for adults and children, and TMJ-TMD therapy in Houston utilizing the latest technologies in a relaxing contemporary setting. Dr. Hall is a certified Specialist in Orthodontics, having treated over 14,000 smiles. We offer Orthodontic options including Lingual Braces, Teen Braces, Clear Braces, Adult braces, Invisalign and TMD-TMJ therapy, including Accelerated Orthodontics Houston treatment options of 6-12 months. Our ultimate goal is a beautiful smile for you! Dr. Tom Hall has practiced as a Houston orthodontics specialist for over 25 years. We understand that adults and children appreciate treatment options and experience with TMJ-TMD non-surgical Therapy. Dr. Hall is the only Houston Orthodontist that is a Center of Excellence for lingual braces system by 3M. Lingual Braces are a unique choice that allows adults and teens to smile with confidence both during and after treatment. They are placed on the back of your teeth and are completely hidden from view. Hall Orthodontics Houston TX is diligent about pursuing the latest developments in Orthodontics and behind the teeth Lingual braces. Dr. Hall attends numerous advanced conferences every year to stay ahead of the evolving technologies in this field. Kindly contact one of our convenient Houston offices at 1919 North Loop West @ Ella Blvd or 3120 SW Freeway @ Buffalo Speedway today, to schedule your free initial visit with Hall Orthodontics Houston. We look forward to meeting you and helping you achieve a beautiful smile that will make you proud.